Aiming to improve upon current T cell treatments, CRISPR Therapeutics and Massachusetts General Hospital Cancer Center (MGHCC) and said today they will use CRISPR/Cas9 gene editing to develop novel T cell therapies for blood and solid tumors. CRISPR Therapeutics said the collaboration represents its latest step toward developing immuno-oncology treatments. The company in February named Jon Terrett, Ph.D. to lead its unit focused on advancing to clinical phases immuno-oncology therapies based on CRISPR (clustered regularly interspaced short palindromic repeats). Four months later, in June, CRISPR Therapeutics signed a service agreement with MaSTherCell, a full-service contract development and manufacturing organization (CDMO) and wholly-owned subsidiary of Orgenesis, to develop and manufacture allogeneic CAR-T therapies. Those therapies include CRISPR Therapeutics’ wholly-owned lead immuno-oncology program targeting CD19 positive malignancies, CTX101, now in its IND-enabling phase. CTX101 uses the company’s gene-editing technology to make targeted modifications to the T-cell, enabling an allogeneic treatment that can be used by a broader patient population and addresses challenges associated with autologous therapies. 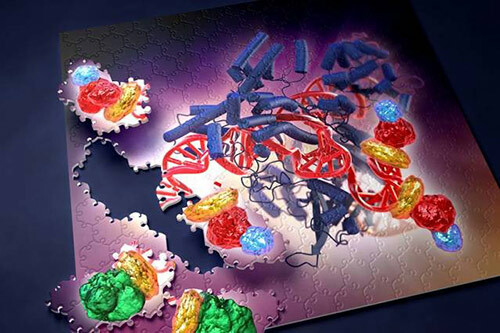 Through the collaboration with MGHCC, CRISPR Therapeutics said, it aims to expand its immuno-oncology efforts to a more diverse set of tumor types and molecular targets, as well as tap into expertise of top-tier academic researchers. Marcela V. Maus, M.D., Ph.D., Director of MGHCC’s Cellular Immunotherapy Program and assistant professor of medicine at Harvard Medical School, will lead the scientific work at the Cancer Center. “We have already seen the profound benefit that T cell therapies can have for certain patients with a specific set of tumor types. Now the potential with gene editing, and specifically CRISPR/Cas9, exists to create improved versions of these cells that may work for a wider variety of patients with a more diverse set of tumor types,” Dr. Maus said in a statement. CRISPR Therapeutics’ interest in T-Cell cancer immunotherapies comes as both Kite Pharma and Novartis await FDA decisions on their CAR-T immuno-oncology treatments, with the companies emerging as leading developers of CAR-T therapies. Last month, Novartis won an FDA advisory committee’s unanimous recommendation of approval for Novartis’ leukemia-fighting treatment CTL019 (tisagenlecleucel), a CAR-T therapy developed through a collaboration between the pharma giant and researchers from the University of Pennsylvania launched in 2012. CRISPR Therapeutics’ drug development efforts also include partnerships with Bayer and Vertex Pharmaceuticals intended to develop CRISPR-based therapeutics in diseases with high unmet need. CRISPR Therapeutics and Bayer have formed a $335 million-plus joint venture, Casebia Therapeutics, to develop treatments aimed at curing blood disorders, blindness, and congenital heart disease. CRISPR Therapeutics is among four companies to have licensed CRISPR technology for which a European patent was granted in March to the Regents of the University of California (UC), the University of Vienna, and Emmanuelle Charpentier, Ph.D., a director at the Max-Planck Institute in Berlin. The European patent holders are appealing a February 15 decision by the Patent Trial and Appeal Board (PTAB), which sided with the Broad Institute of MIT and Harvard in the bitter legal battle over who invented the gene-editing platform. The PTAB found “no interference in fact” between 12 patents related to CRISPR technology that list as inventor Feng Zhang, Ph.D., of the Broad, and a patent application by Dr. Charpentier and Jennifer Doudna, Ph.D., of UC Berkeley. The European patent holders have cited decisions by other countries to grant them patents for CRISPR/Cas9 in all settings, including eukaryotic cells—including the United Kingdom, nearly 40 other countries that are members of the European Patent Convention, and Asia-Pacific nations such as Australia, New Zealand, Singapore, and China. Joining CRISPR Therapeutics in licensing the European-patented CRISPR technology are Caribou Biosciences, ERS Genomics, and Intellia Therapeutics.